That seems a tad harsh–or, if not overly harsh, then at least overly hopeless. Let me pose some questions back to Krugman, if only to figure out what kind of answers those of us whose localism wants to make space for smaller cities need to come up with. First of all, which, or what kind of cities is he actually talking about? Well, he’s clearly talking about cities of the United States, or at most other towns and cities whose roots are to be found in the creation of politically and socially necessary central places in the midst of 19th-century (or earlier) colonial and agricultural expansions (so think Canada or Argentina…but particularly the U.S.). What became of these places, as technologicially-driven market demands and cultural expectations led to the shrinking and homogenizing of the agricultural sector? Some survived, or even flourished, as important industrial locations, to the extent which the “Marshallian trinity of information exchange, specialized suppliers, and a pool of labor” allowed. So what happened next? According to Krugman–drawing up this column and other writings of his–it was apparently the mutually reinforcing logics of free trade, consumer technologies, and global finance capitalism that happened. As Saskia Sassen put it in the article which prompted Krugman’s ponderings, “urban economies [today] need other major urban economies more than they need the standardized production economies of other cities in their country.” Or to put it in another way, the financial networks and the capital and population and cultural flows between major metropolitan agglomerations are bypassing small and mid-sized cities, in the same the interstate highway system bypassed numerous rural towns, picking winners and losers, as it expanded across the country from the 1950s to the 1980s. Just as consumers will now travel to the nearest urbanized outpost to do their shopping rather than to the county seat (assuming they don’t do all their shopping online anyway, that is), the corporate economic drivers of today don’t look to the hinterlands of the U.S. for raw material and labor–the look to other global cities, which in turn look to their own hinterlands (as one scholar in the above article put it, “the hinterland for Silicon Valley is Shenzhen”). Hence, those small cities which survive this latest–and sure to be at least as enduring–bypassment will do so, if they do so, simply because various historical contingencies currently allow it. And Krugman’s conclusion is that such contingencies and coin-flips will eventually run out–and would have does so if globalization hadn’t unfolded the way it did, because urban concentration will always feed upon itself. No, Krugman is talking about cities: metropolitan urban areas that have already expanded beyond their origin as a central place and have benefited from a “chain of external economies” which “allowed the city to take advantage of particular new technological and market opportunities when they arose.” Some other research can put this into context, and lend support to Krugman’s assumptions–modern cities, as they’ve expanded and diversified over time, almost invariably seem to make themselves subject to what sociologists and political theorists have called the “growth machine,” thus putting them into an entirely different relationship with their region than exists for the stereotypical, vanishing, small town of today (as well as in an entirely different relationship with their spatial situation and natural environment than existed for even large cities up through the early 20th century). Now though, according to Krugman (and Richard Florida, and many other students of urbanization), growth has changed: it’s faster, more far-flung, and more cognitively demanding and technology-dependent than ever before. Many of these smaller and mid-sized cities, regional cities all, when they feel that their historical luck is running out, will attempt to keep up nonetheless, usually by accepting the idea that the revenue-demanding distributive and individuating work which they, as places of personal freedom and urban opportunity, are presumably committed to, will require “liberal expansion,” with its imperative of ever-greater integration with and ever-greater dependence upon governments and corporations beyond the city. In short, cities that had experienced growth (and all its attendant obligations), but are no longer quickly growing, will often double-down on engineering further growth, with the ultimate goal of growing ever more some again. Paging Charles Marohn! 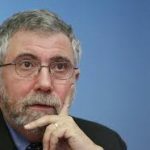 So–is Krugman right? Well, he’s ignoring for the most part the role played by local businesses and political elites in choosing to pursue that aforementioned “chain of external economies,” and he’s ignoring the role of state and national governments, whose revenue bases presented certain cities with the possibility of chaining themselves to “external economies” in the first place. If nothing else, recognizing the role played by governments which consciously chose the rat-race of expansion (perhaps because of a desire to maximize middle-class suburbanization within city limits), or that played by the federal governments in providing key cities with enormous amounts of investment unrelated to any actually existing local economic chains (defense spending, NASA, etc. ), arguably lessens the sense of inevitability attached to Krugman’s assumptions about small or mid-sized cities today. What it doesn’t lessen, I think, is the bottom-line correctness of his basic diagnosis. The historical advantages which helped slowly develop many smaller cities really are being thoroughly bypassed by global networks which make their one-time specializations–be they raw materials or manufactured goods or trained labor–either irrelevant or (more commonly) prohibitively costly in comparison to what the financial, industrial, insurance, government, or real estate interests of the global cities of the world can get in bulk from either Guangzhou, China or Saltillo, Mexico. And for Krugman, that’s the end of story, because he simply sees no other way the urban game can be played in this day and age. The innovations which matter most today–at least in terms of being able to generate import-replacing wealth and thus expand job opportunities and attract investment within the city itself–build most frequently upon already existing concentrations of people. And since success, as always, breeds success, those cities that, by this point, have missed out on the global flows can probably only prolong the inevitable, at best. I disagree–I think there are, and will have to be, other ways for the urban game to be played in the years and decades to come. Right now, I can imagine three alternatives to Krugman’s pessimism, three possibilities for localists who want to hold onto their small and mid-sized cities, concerned citizens for whom the agrarian option is not available, and joining the great inversion and returning to America’s largest cities isn’t an option either. I’m not sure which–if any–of these three are actually achievable, and it is interesting to consider what kind of culture of resistance to liberal assumptions regarding individual opportunity and capitalist growth the cities who took these routes would have to develop if they were to pull off the change. But for now, here’s the alternatives as I see them. First there is, quite simply, conservatism. I am not thinking here of the cities whose political cultures tend to track in the direction of self-identified conservative Republican candidates (in fact, often the latter seems to present a real obstacle to “conservatism” in the sense I am considering here). Rather, I’m thinking of stereotypically “conservative” economic traditions of frugality and austerity, ones which eschew expansion unless the financial benefits of growth are assured. Marohn’s Strong Towns has been a consistent proponent of the need, in his view, of cities to allow themselves to shrink their footprint and their aspirations, to–as he put it nearly ten years ago–hibernate (stop building), prune (abandon or convert existing urban projects), retool (think in terms of regulations appropriate for a smaller spatial arena), plan (involve the population in embracing a different vision for the city), look inside (identify strengths for local production, but avoid going all in on import-replacement schemes that simply aren’t cost effective in the age of Walmart), look outside (re-acquaint oneself with the resources of the immediate local region), and above all, take small steps (the idea that any large tourist or infrastructure or industrial project will be able to solely and dramatically change the reality which cities of this size and in this situation face simply invites more of the same debt rat-race or various problematic liberal expansionist solutions). This kind of conservatism isn’t simply a flat rejection of urban development, but it is a load of cold water dumped upon it. 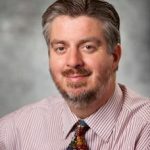 The main problem with this alternative is that Marohn was actually making those suggestions for small towns, not cities–meaning places that probably don’t have cultures and economies in place whose relative diversity will probably politically oblige local leaders to at least acknowledge metropolitan aspirations. 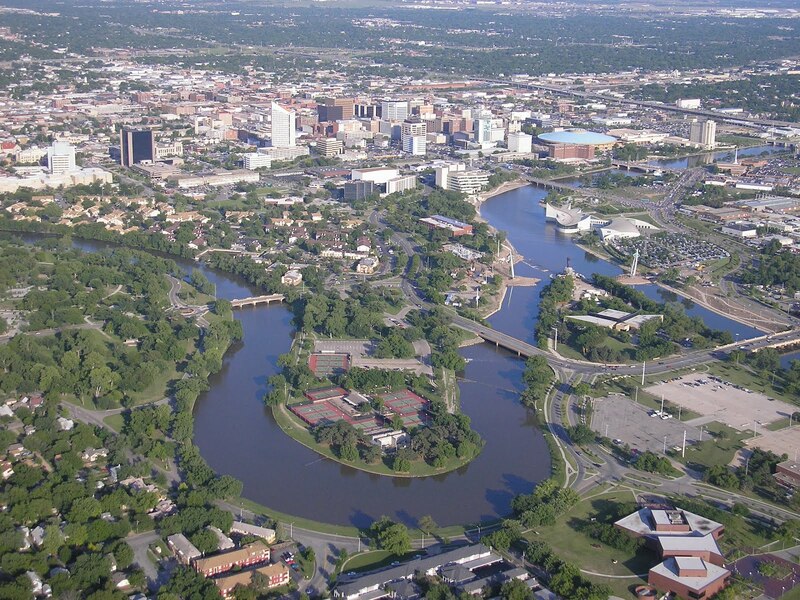 That’s not to say there isn’t much to learn from the civic-strengthening which comes along with re-emphasizing more fiscally responsible and democratically engaging city policies (the fight over the fate of a downtown park here in Wichita exemplified this well, I think). Many of his suggestions are important and valuable–but the underlying liberalism, meaning the underlying imperative of providing resources of individual opportunity–makes articulating a small-c conservatism appropriate for small and mid-sized cities more complicated than just shrinking, I think. But related to some of the key points of the conservative approach, there is sustainability. The term can mean a huge amount and apply to a huge range of urban approaches, obviously. But I’m thinking specifically here of the writings of Catherine Tumber, and her arguments that slow-growth regional cities have a unique opportunity to orient their markets around immediately available resources (agricultural and otherwise) on the outskirts of their suburban and exurban developments, something that isn’t (or at least isn’t as obviously) the case for massive urban agglomerations that spread across thousands of square miles. It is true that this alternative is probably only conceivable for smaller or mid-sized cities that are distant enough from other urban centers for there to be “hinterlands” of their own in relative proximity. Moreover, Tumber and other urbanists who focus on environmental impacts tend to premise their arguments regarding the possibilities for sustainable cities on the likelihood of oil depletion; and if it turns out that peak oil isn’t a real phenomenon, then it might seem that the particular value which Tumber sees in these hypothetical “small, gritty, and green” cities–which are able to model local food and alternative energy production and the small-scale manufacturing such would allow for–would be quickly undermined by larger cities simply expanding their energy-dependent developments and product-chains ever further. But I don’t think so, and not just because I assume, peak oil or not, that our energy-dependency simply can’t expand infinitely. No, even if our energy problems can be addressed in the medium term, the model of a more sustainable city–one that embraces a moderate degree of autarky in the midst of, and despite of, globalization–is something that could potentially speak strongly to many smaller cities who feel their luck in running out. The key problem, again, would be trying to make the political and cultural case to the residents and the leadership of such cities for valuing the limits which any kind of autarky would have to involve. Finally, if the ability to smaller or mid-sized cities to persuasively articulate, or even just develop, a coherent plan for scaling back in a conservative, or re-assessing in a more sustainable, direction, simply isn’t there, what remains? Waiting for Krugman’s predicted gambler’s ruin? Or, perhaps do-it-yourself futurism? 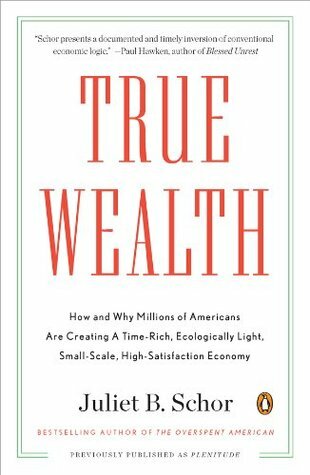 I’m an old fan of the writings of economist Juliet Schor, and I’ve used one of her books regularly when I’ve taught my Simplicity and Sustainability courses, even though the premises of her arguments involve some assumptions I seriously question. Basically, Schor suggests that in an environment where the internet has almost entirely liberated us from traditional, grounded means of conveying information, the DIY possibilities of the modern world–in which anyone can learn to be a farmer, a plumber, an app-designer, a freelance artist, or more–and almost endless. There is a sense here in which her projected “time-rich, ecologically light, small-scale, high-satisfaction economy” follows from Krugman’s (admittedly well-supported) assumption that global financial capitalism has “cut [wealth] loose from the land”; that is, perhaps it is only because of the the ubiquity of big-city-developed technologies that our own urban hinterlands can now develop DIY alternatives to the economic chains of production and service whose profits are mostly passing those hinterlands by. If that sounds vaguely similar to certain Marxist or progressive claims, in the sense of asserting that certain negative developments had to emerge for better options to follow them–well, you’re right. Overall, Schor’s detailed suggestions form a powerful, almost utopian vision, and one that is greatly appealing: surely there are millions of people who would love to believe that they could stay in their own places, and develop financially rewarding lifestyles through universally available small-scale industries and services, even as the distant economic powers of the world become centralized even further. I don’t want to rain on that possibility–but I must note that, to the extent Schor doesn’t imagine standards of living or socio-economic expectations in these otherwise bypassed cities to signficantly change, she assumes that much larger changes would have to have taken place before the liberating shift away from office-bound, car-dependent work begins: portable health coverage that isn’t tied to a job and wage supports as people embrace to working fewer hours being two of the largest and most radical proposals. Those are good proposals, to be certain! But I can’t help but think that, in a crucial way, they displace the problem Krugman originally posed. After all, if the logic that he sees pushing small and mid-sized cities towards decline were changed…well, then, perhaps alternative urbanisms wouldn’t be necessary in the first place, would they? For those of us who want to figure out how to talk about urban localism, and not be locked into 1) recognizing global mega-cities as our only future, or 2) accepting that small-town agrarian sufficiency is the only other alternative (as well as 3) agitating for some kind of anti-capitalist revolution which would change the urban game entirely), there is a need to find an urban theory that can work with what small and mid-sized cities can offer. Of the three possibilities offered here, I think the sustainability approach makes the most sense, while elements of the conservative (and, to a lesser extent, the futurist) perspective would likely be valuable. But whatever elements of these three, or any others, may work best remains an open question–one that I hope more and more people, within their various disciplines, one way or another, will be thinking about. In the face of Krugman’s despair, some of us want to hold on to our smaller cities, after all, and the idea that there are only two poles–or perhaps only one!–remaining when it comes to how all communities are to be organized is too much to accept just yet. There is no Answer to how development, urbanism, etc., should work. The only possible approach that makes any sense is to empower communities to make their own decisions, which will be difficult, perhaps impossible, since their political power was unceremoniously stripped away 50 years ago. Looking for The Answer is the same mindset that gave us urban renewal, which decimated so many small and medium cities across the country. No Big Plans. No Option 1, Option 2, etc. Wichita for Wichitans, or whatever they’re called. Wichitans is what we call ourselves, yes. And I agree that none of the options I list here are “The Answer.” They are, however, models of possible responses to the dilemma Krugman presents, a dilemma which, while I think there is more to the story behind the illness confronting small and mid-sized cities than what Krugman lays out, is I think nonetheless a mostly accurate diagnosis. Given that diagnosis, places like Wichita are going to struggle. The possibilities I present suggest different ways to think about the local struggle before us. And what’s wrong with that? I Predict (said Criswell the Great), that whatever happens will be an organic growth which no pundit can predict, and that any “planning”, on whatever scale, will fail miserably. I have seen the ruins of Cabrini-Green. On the gripping hand, my prejudices have led me astray before. Sorry, that was “rats of NIMH”. Spelchek is not my friend. Glad to see FPR returning to solid substance. Compare Enid with Ponca. Both lost their primary industry when petroleum centralized on the Gulf Coast. Enid is doing well because it has Vance AFB as a ground point. Ponca is failing. Thanks for the compliment, Polistra! Only one small quibble: Defense spending is actually a leveler, not a concentrator. If you mean that defense spending can generate additional revenue which spreads out in the immediate area, thus raising (“leveling out,” perhaps?) the local economic terrain, then I agree with you. This is, of course, one of the primary reasons why military bases have long been so hotly contested for and defended once established–the prospect of investment from the federal government, in the form of people who then turn around and similarly invest their earnings in the local economy, is a multiplier to good to let go without a fight. When I wrote that the federal government (and, to a lesser degree, the state government, when it builds a prison or a university, etc.) can provide “enormous amounts of investment unrelated to any actually existing local economic chains,” what I meant was that such economic drivers have little or nothing to do with the resources any particular city has, or the import-replacement it is capable of. That particular chain is simply dropped from above. I think Krugman elides more than illuminates – he writes, near the end of this particular piece: “Notice, by the way, that globalization and all that isn’t central to this story. ” and yes, not as he has presented it. And that’s the tell. I could write a couple paragraphs about our local trout and never mention the water in which the fish eat, move and have their being. The paper that prompted his reflections states quite clearly that things changed dramatically around 1980. That there have been 30 years of dramatic changes and we are now seeing the impact. A fact contrary to his musing, so he instead writes ” the conditions for small-city decline and fall have been building for a very long time..”. He posits the unsupported idea in a manner that suggests he is describing plate tectonics or some other natural process, when in fact the changes he describes are the result of deliberate policies and programs supported by economists – like Krugman – and enacted by elected and appointed officials. The separation between the interests of people living in a few metropolitan areas and the rest of the country would seem to present quite a problem to those concerned with the frameworks that provide security to make the far-flung associations possible. A subject which, apparently, Krugman thinks of minor or negligible import. Value to most economists means one thing – money. Cash. Before any argument over whether a place (or people!) have value the first thing to do is establish how that value will be measured. On it’s premises, this piece by Krugman ought to be challenged. There is no concern for the people, no sense of the polis, no appreciation for the many ties that make a society and make a life within that society fulfilling. I know he was disturbed by the results of the last election and this piece seems little more than a bitter wish, presented as disinterested academic curiosity. Hope it’s a one-off. Though the details do not come to mind I remember thinking recently that I could have made a lot of money over the last 15 years by investing contrary to Krugman’s suggestions on many issues. He may still be right here, but I think that the largest cities are being propped up by the most federal money. Take that away- and it may be mostly going away, and the odds may be different.